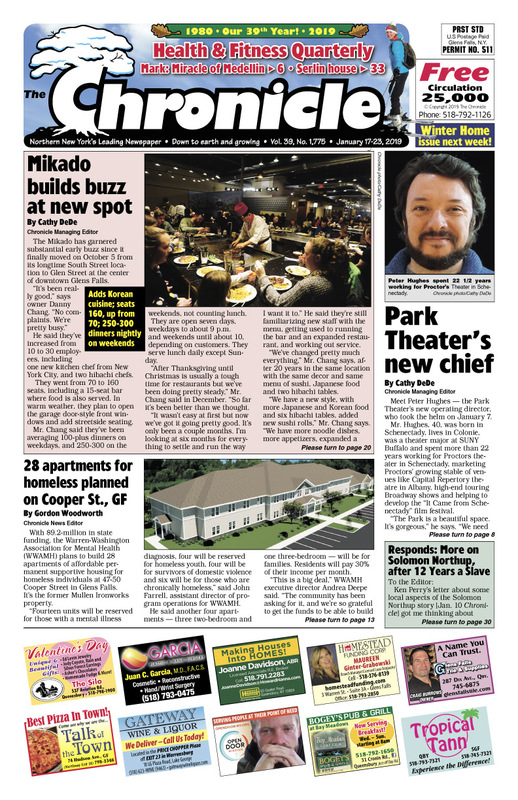 Health & Fitness Quarterly issue | Mikado has buzz. Park Theater’s new chief. Apartments for homeless planned. Warren County debates changing sales tax distribution. Dinosaur park at former Magic Kingdom. VA Clinic to double size at 101 Ridge Street. Bodies by Billy, DeAmes still champion body builder at 64. Dr. Serlin’s home on Lake George for sale. Mark in Medellin. Concerts, comedy, shows… The Chronicle always has the region’s best Arts & Entertainment section!